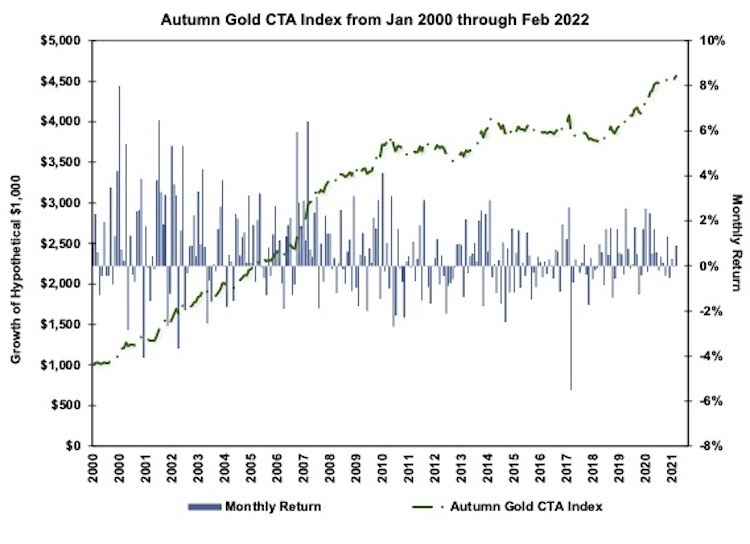 The Autumn Gold CTA Index is comprised of the client performance of all CTA programs included in the AG database. CTA programs with proprietary performance are not included. 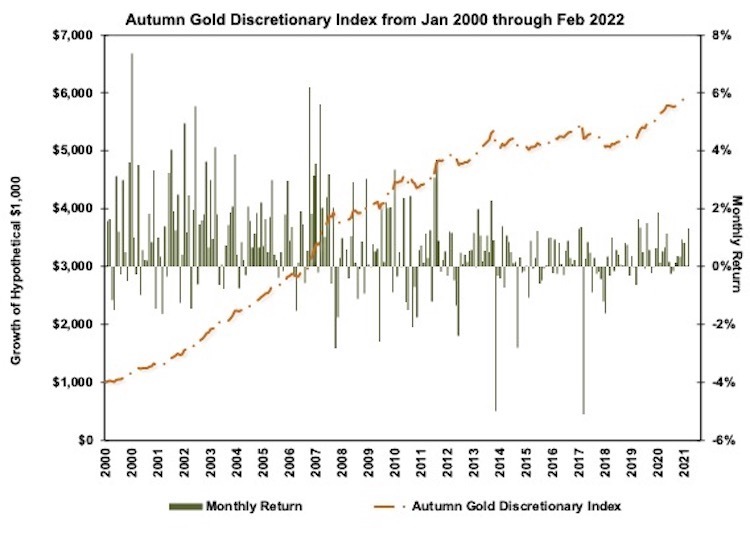 The Autumn Gold Discretionary Index is comprised of CTA programs that are 70% or more Discretionary. CTA programs with proprietary performance are not included. 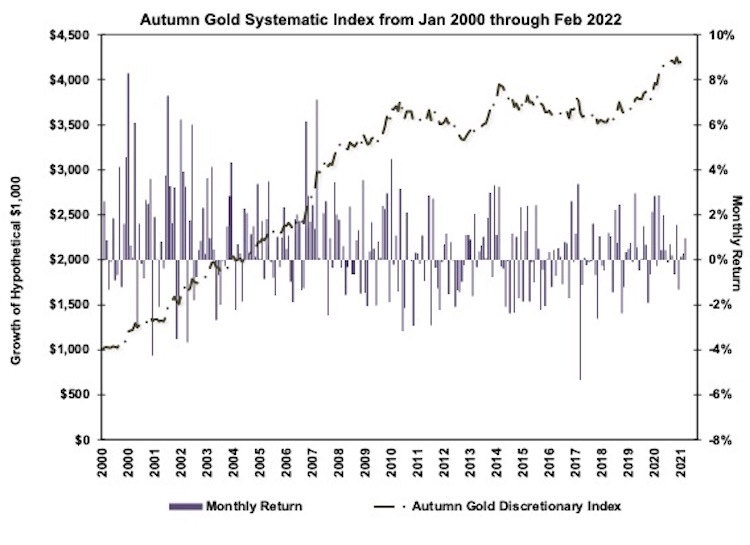 The Autumn Gold Systematic CTA Index is comprised of the client performance of all CTA programs included in the AG database. CTA programs with proprietary performance are not included. 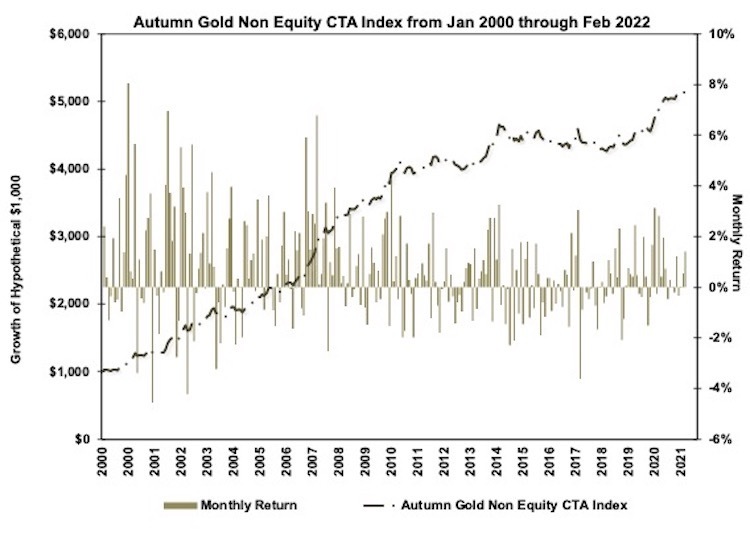 The Autumn Gold Non-Equity CTA Index is comprised of CTA programs that allocate less than 70% of their strategy to Stock Indexes. 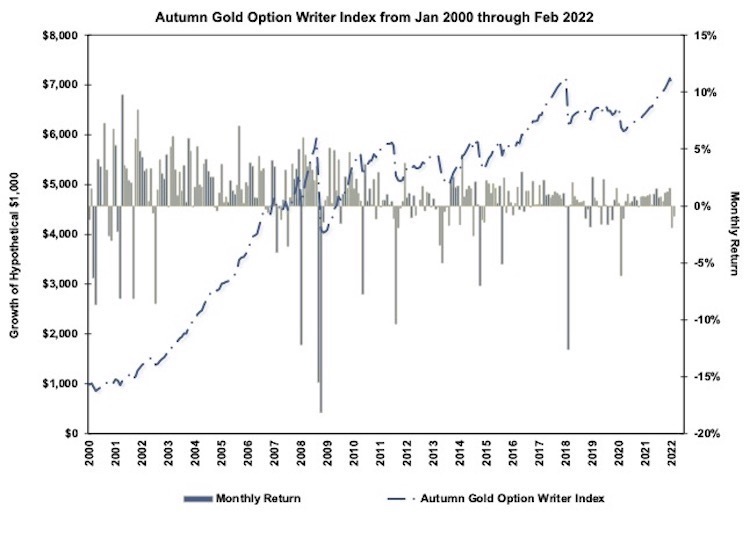 CTA programs with proprietary performance are not included. 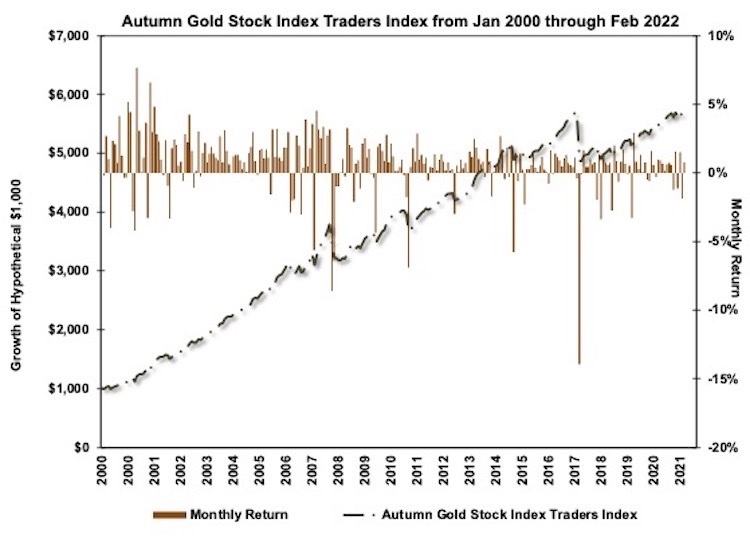 The Autumn Gold Stock Index Traders Index is comprised of CTA programs that are 70% or more Discretionary. CTA programs with proprietary performance are not included. 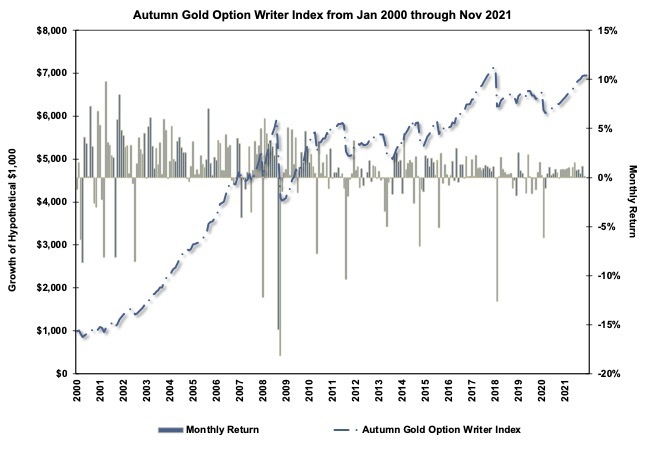 The Autumn Gold Option Writer Index is comprised of the client performance of all CTA programs included are Option Writers. CTA programs with proprietary performance are not included.